At Fedorciw, Massoumi & Kolbig, we are proud to announce the use of a needle-free dental anesthetic called Kovanaze. Kovanaze is a nasal spray that allows us to numb your upper teeth, without needles, before your dental treatment. With only two sprays about five minutes apart, your mouth will be numb within ten minutes. Unlike injectable anesthetics, Kovanaze precisely numbs your teeth, allowing you to maintain feeling in your lips and cheeks. Although this can vary from patient to patient, most people report their teeth and gums being numb while still being able to feel their cheeks and lips. Kovanaze contains two active ingredients responsible for its anesthetic properties. The first is Tetracaine, which blocks nerve signals, and the second is oxymetazoline, which constricts the nasal blood vessels and allows the Tetracaine to have a stronger effect. Because the nostrils have many blood vessels, a nasal spray can be absorbed and distributed into the body quickly and efficiently. Am I a candidate for Kovanaze? You may be a candidate for Kovanaze if you are having work done on your front, upper teeth and prefer a nasal spray over an anesthetic injection. You will need to discuss your medical history and tell your dentist if you are on any medication because certain medical conditions and medications may be problematic when combined with Kovanaze. You will also need to be over 18 years or 90lbs. To know for sure if you are a candidate for Kovanaze anesthetic, schedule a consultation with our office today! 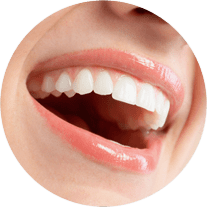 What dental procedures can Kovanaze be used for? 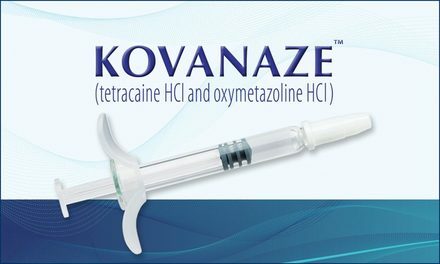 Kovanaze can be used in the same way as injectable anesthetics and can be used as a regional anesthetic for restorative dental procedures affecting your top, front teeth (teeth #4-13). What can I expect from Kovanze anesthetic? Kovanaze comes in a small syringe that is inserted into the nostril closest to where your dental work will occur. Once inserted, your dentist will gently spray the liquid into your nostril. For most patients, two sprays spaced five minutes apart are needed, however there may be a third spray. Within ten minutes, your teeth and gums should be numb and your dentist will proceed with your treatment. How long does Kovanaze anesthetic last? Kovanaze anesthetic will last the duration of your dental treatment and generally takes approximately 5 hours to wear off completely. However, keep in mind that most likely only your teeth and gums will be numb and you should still be able to feel your lips and cheeks. Yes. Kovanaze is completely safe and has been approved by the FDA for dental applications. However, as with any substance, there is always the possibility of side effects. These include, but are not limited to: nasal congestion, runny nose, mild nosebleeds, dizziness, and a sensation of swallowing difficulties. In most cases, when side effects occur they only last throughout the same day Kovanaze was used and will subside soon. If you would like to experience needle-free dental anesthetic, call our office today and schedule a consultation! Fedorciw, Massoumi & Kolbig are happy to serve patients in Cromwell, Middletown, Rocky Hill and other surrounding areas in Middlesex County (including Berlin).